Guduvanchery, GST, Chennai. Near SRM University & hospitals, cbse schools. How Far is VGP New Gold Avenue? REALISE YOUR DREAMS WITH VGP’S NEW GOLD AVENUE- A great investment opportunity. Invest in the fast appreciating property belt in Chennai: Guduvanchery! Invest now and reap rich returns. VGP’s NEW GOLD AVENUE is situated in proximity to ford and residential township. The project is one of the plotted developments of the builder, planned with DTCP approved plots of various plans and facing. VGP's NEW GOLD AVENUE is situated in proximity to ford and residential township like Sriram, lancor & Aswini foundations. It has a well-planned layout, properly, laid bitumen roads that define the borders and is well landscaped with Avenue trees, offering pleasantness to the project. One of the potential investment opportunities in Guduvanchery, looking for a plot in GST then this project would be the best. The project offers proximity to nearby Residential, IT hubs and also major landmarks nearby. It has a well-planned layout, properly laid bitumen roads that define the borders and is well landscaped with Avenue trees, offering pleasantness to the project. Invest now in DTCP Approved plot at VGP’S NEW GOLD AVENUE and Assure it will appreciate Multifold in course of time. Near SRM University & hospitals, CBSE schools. The History VGP is nothing but the history of VG Panneer Das, a pioneer in several creative ventures. A poor Christian from a remote village called Azhagappa Puram near Valliyur in Tirunelvelli District, Tamil Nadu and worked as an Assistant in a Ration Shop in Saidapet, Chennai. He worked hard, with head and heart, and soon established his own tea shop in 1954 besides Newspaper vending along with his younger brother VG Santhosam. 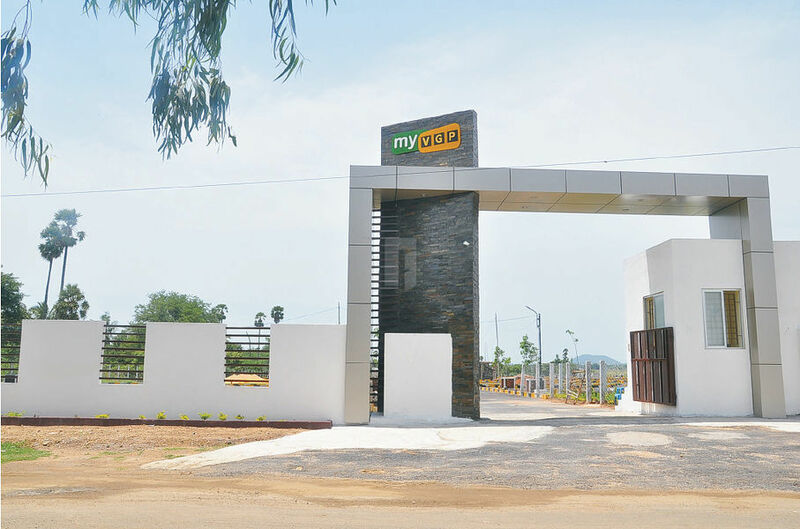 VGP New Gold Avenue one of the plot development of the builder developed with plots of various dimensions, developed in a DTCP Approved layout in Guduvanchery, GST, Chennai. VGP Gold Win another plot development of the builder developed with DTCP Approved plots in Kanchipuram, Chennai. In 1955, he opened a shop selling items such as alarm clocks, watches and wall clocks. He was the pioneer in South India to introduce Hire Purchase for everyday goods. He built the VGP company from virtually nothing to its present status as a group of companies including retail, real estate and property development, resorts and amusement parks. He pioneered the idea of "Buy now... pay later" A concept unheard in those days. The organization which he founded has been a remarkable success during the last five and half decades. He was an exemplary citizen of India, with the interest of the employees and compassion for the poor. The rest is history.